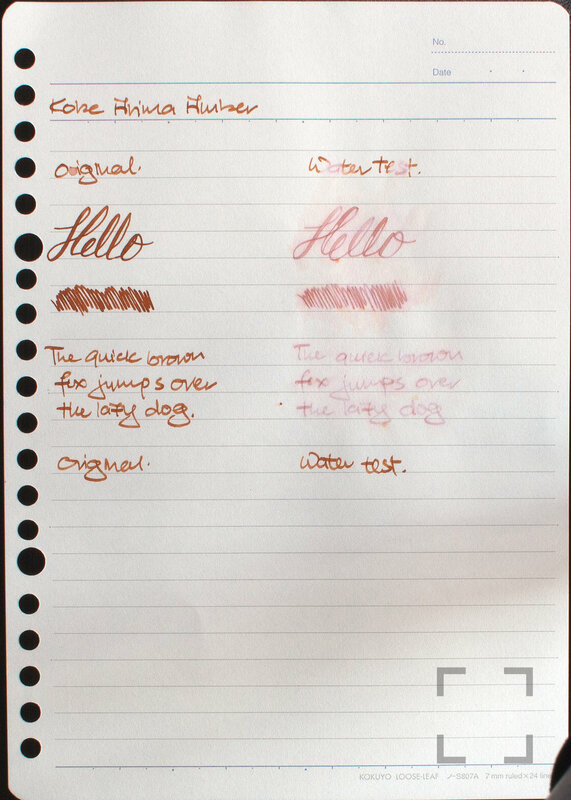 My thanks to Glenn for the ink sample! 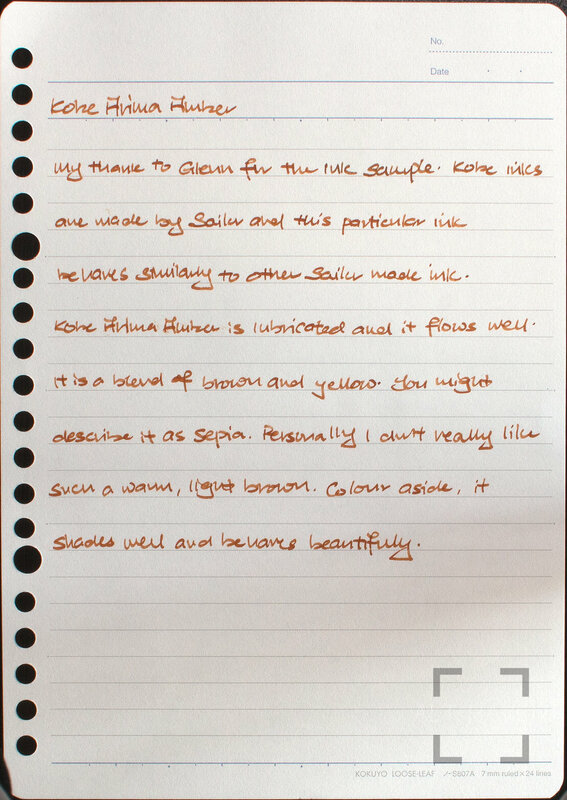 Kobe inks are made by Sailor and this particular ink behaves similarly to other Sailor made inks. Kobe Arima Amber is a Nagasawa exclusive ink but is now also available in the US via Vanness Pens. It is a lubricated ink that flows well. It is a blend of brown and yellow. You might describe it as sepia. Personally I don’t really like such a warm, light brown. Colour aside, it shades well and behaves beautifully.